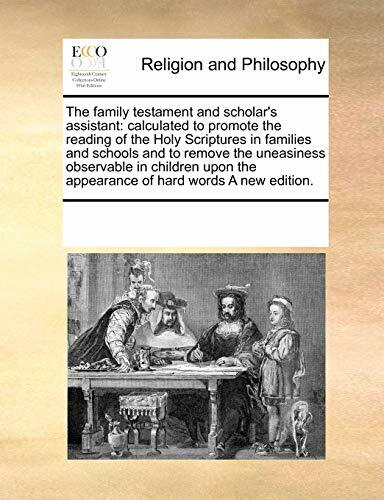 The family testament and scholar's assistant: calculated to promote the reading of the Holy Scriptures in families and schools and to remove the . the appearance of hard words A new edition. Final leaf = U5.- The preliminary pages numbered i-xxiii.